Kennelplus is a pet management office suite that offers small to medium-sized kennel owners a centralized platform from which to manage petcare business operations. Facilitating pet boarding, grooming and daycare as well as training, scheduling and sales, kennelplus aims to provide users with a simple and productive pet management solution. To enhance pet boarding activity, kennelplus incorporates features such as boarding scheduling, room tracking and specific room designation. Moreover, kennelplus enables users to manage pet check-ins and check-outs quickly and efficiently. Kennelplus’ scheduling tools also allow users to manage pet grooming, daycare and training operations conveniently alongside boarding activity. Further to scheduling tools, kennelplus supports tracking features by permitting users to track vaccinations and veterinarians. As a cloud based software, kennelplus grants users and customers quick and flexible access to pet information, history, scheduling and pet location tracking. Furthermore, users can generate scheduling reports, implement real time software updates and perform off-site data backups. A useful feature designed for pet breeders is the kennelplus Pet Manager Online Plugin which enables users to create a pet gallery with detail pages containing images, description content and price information. KennelPlus transformed the way our businesses were tracked and organized. After having done a significant amount of research, we decided to invest in this program, and we are so happy we did! It has met every need for our boarding, grooming, daycare and training businesses - all in one database! Kennelplus offers 4 pricing tiers. Kennelplus is designed to work with any computer, mobile or tablet device, affording users the flexibility to access pet information and schedules anytime, anywhere. Kennelplus manages both customer and pet details, granting users quick and central access to a store of scheduling histories, invoices and notes. 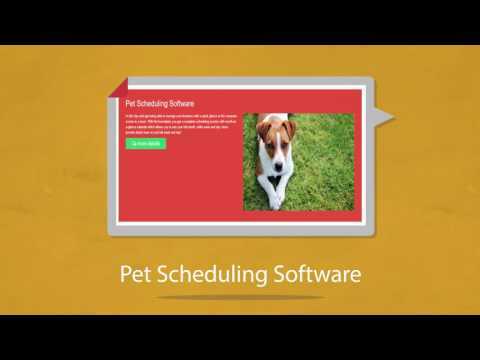 Kennelplus includes advanced scheduling tools, allowing users to organize appointments accurately and efficiently. Kennelplus offers powerful user-level security, ensuring personal information is thoroughly protected against unauthorized modification. With the Kennelplus Point of Sale system, users can create invoices and take online payments conveniently. Below are some frequently asked questions for kennelplus. Q. What type of pricing plans does kennelplus offer? Q. Who are the typical users of kennelplus? Q. What languages does kennelplus support? Q. Does kennelplus support mobile devices? Q. Does kennelplus offer an API? No, kennelplus does not have an API available. Q. What other apps does kennelplus integrate with? Q. What level of support does kennelplus offer?